Monmouth County: Sheriff Shaun Golden is pleased to announce that the Monmouth County Sheriff’s Office Project Lifesaver Program has reached 160 participants, which comes as the agency acknowledges National Alzheimer’s Disease Awareness Month. The Project Lifesaver Program uses radio signals to track people with Alzheimer’s disease and autism when they wander away and become missing. 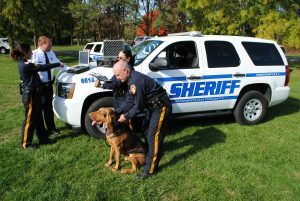 Since the program’s implementation in 2003, Monmouth County has had seven rescues of individuals who have wandered, all under thirty minutes, the fastest in nine minutes. The partnership between the Monmouth County Sheriff’s Office and the Monmouth County Office on Aging was initially funded through the purchase of equipment made possible through a grant from the Older Americans Act. The program was expanded to include individuals with autism in 2007 with the Monmouth County Department of Human Services joining the partnership and securing funding with grants from New Jersey Natural Gas Company, Jersey Central Power and Light Company and a grant from the State of New Jersey. Currently, there are 160 individuals on the Project Lifesaver program with 51 adults and 109 juveniles in Monmouth County. Each radio transmitter worn by an individual has a unique frequency. Should the client become missing, the sheriff’s office has five receivers with which to track the missing individual. The range for the radio receiver is one mile on the ground, one quarter mile when roof mounted and five to seven miles in a helicopter. Autism Awareness Coordinator Fran Hines of the Monmouth County Sheriff’s Office initiates the applications for autistic individuals, and, senior citizen enrollments are processed through the Monmouth County Office on Aging. Both Hines and sheriff’s office personnel visit the residence of individuals, teach the family about Project Lifesaver and install the wristlet (transmitter). They return in either 30 or 60 days, depending on the model of the transmitter, to change the batteries and check on the condition of the client. According to Project Lifesaver, the program is in fifty U.S. states and has performed 3,200 searches over the last 17 years. In addition, the Monmouth County Special Needs Registry is another important program for individuals with special needs. 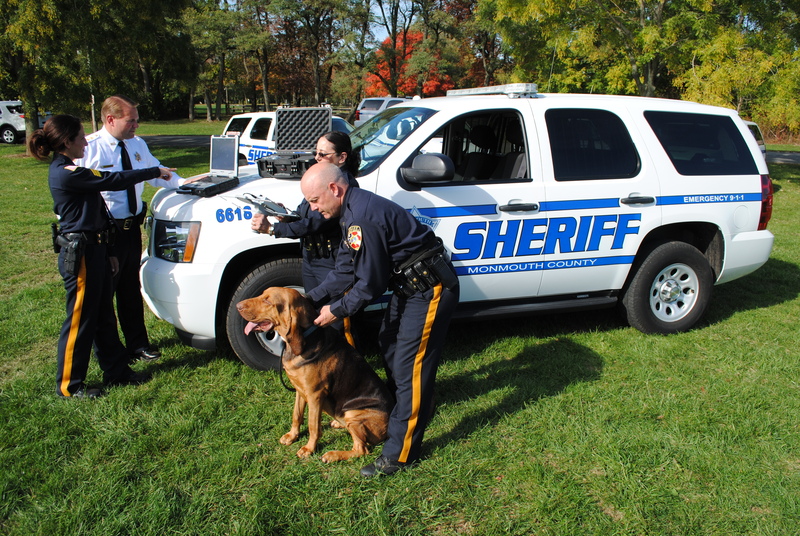 It is a partnership with the Monmouth County Sheriff’s Office, the Monmouth County Prosecutor’s Office and the Monmouth County Police Chief’s Association and provides law enforcement and members of EMS with vital information on disabled individuals to better assist during an emergency. For more information on the Special Needs Registry please visit www.mcsnrnj.org. “Even though we recognize National Alzheimer’s Disease Awareness Month throughout November, it’s vital to note that the law enforcement community is committed to acknowledging this disease as well as autism all year through such useful programs, in an effort to maintain the safety of individuals and spare families a lot of anxiety when locating or responding to a loved one’s needs,” said Sheriff Golden.